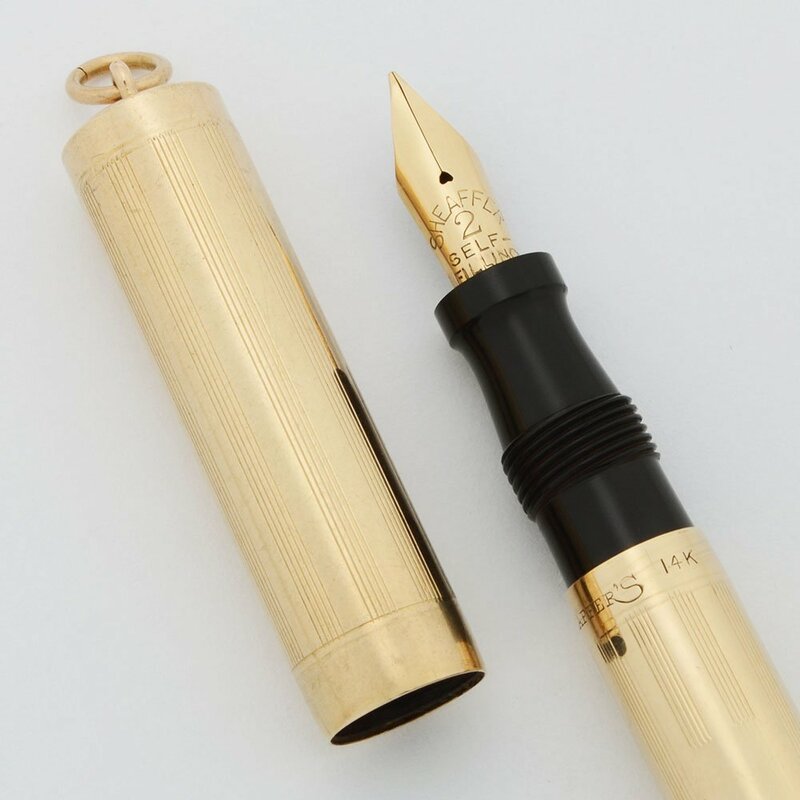 Sheaffer solid gold overlay Flat Top fountain pen from the 1920s. It is a short ring top pen. It has a flexible fine Sheaffer #2 self filling nib and is in excellent condition. This is one of the black hard rubber pens with a solid 14k gold overlay. 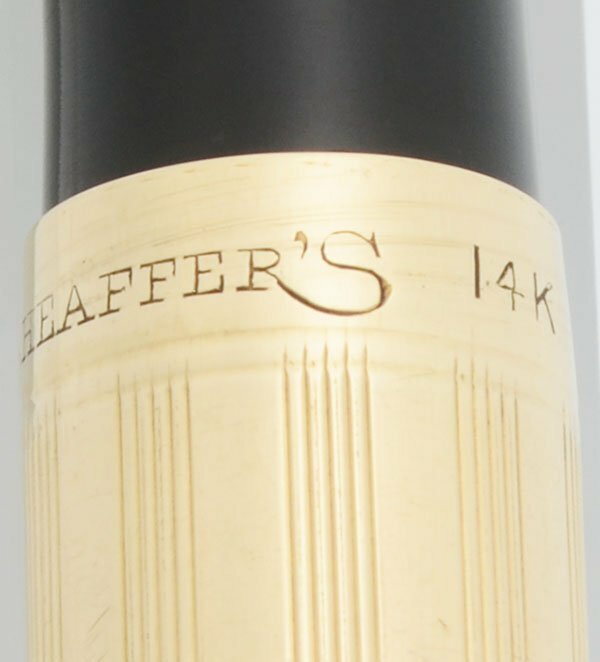 Type Vintage Sheaffer fountain pen in excellent working condition. 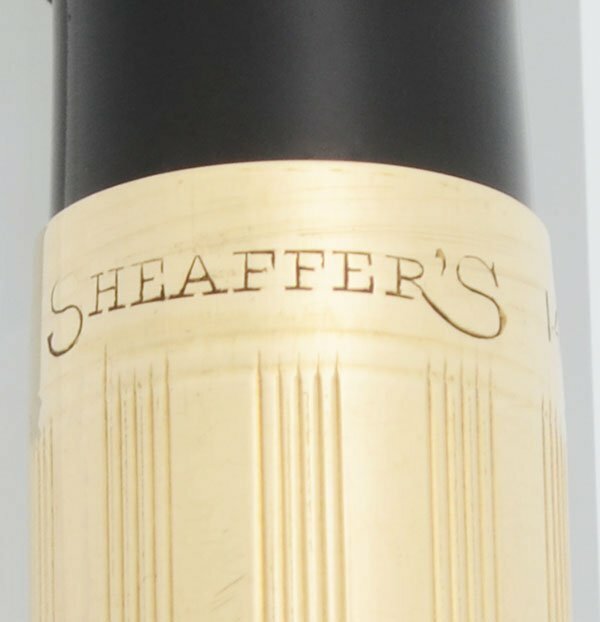 Manufacturer and Year Sheaffer, USA -- 1920s-30s. Color Black hard rubber with a solid 14k gold overlay. The overlay is smooth on the ends and has a grouped lines pattern. The section is not covered by the gold. 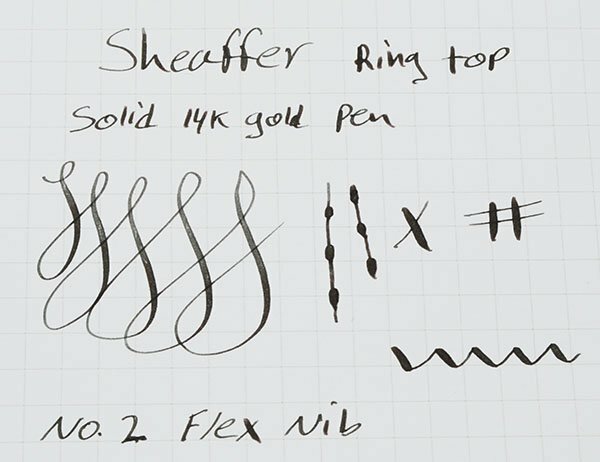 Nib Flexible Fine 14k Sheaffer #2 Self Filling nib. It's a smooth writer with good line variation. See the writing sample below. Condition Excellent condition. 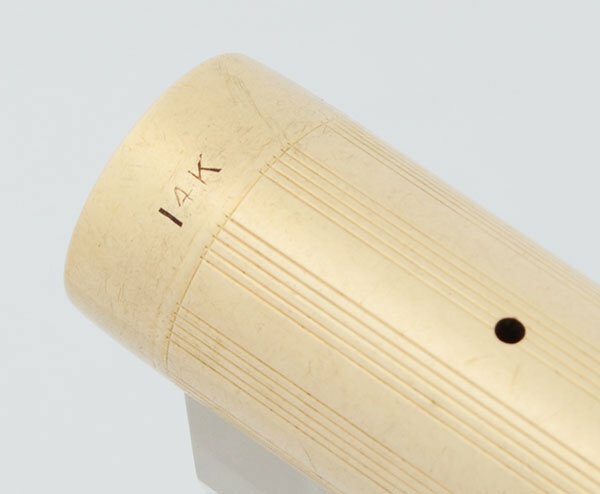 There are small dings on the cap and microscratching throughout the solid gold. No real dents or major scratches. The imprints are clear. The ring moves easily. The black hard rubber is very dark. 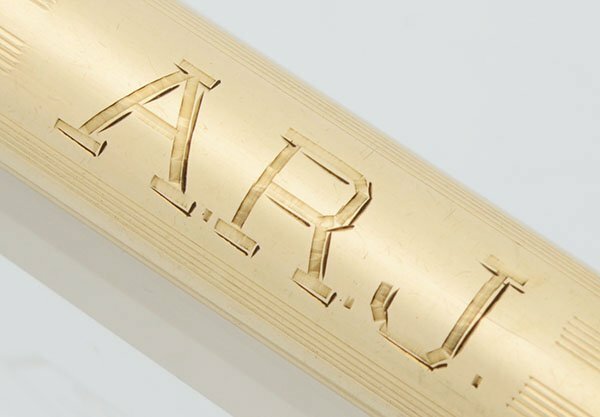 The pen has been personalized, "A.R.J."